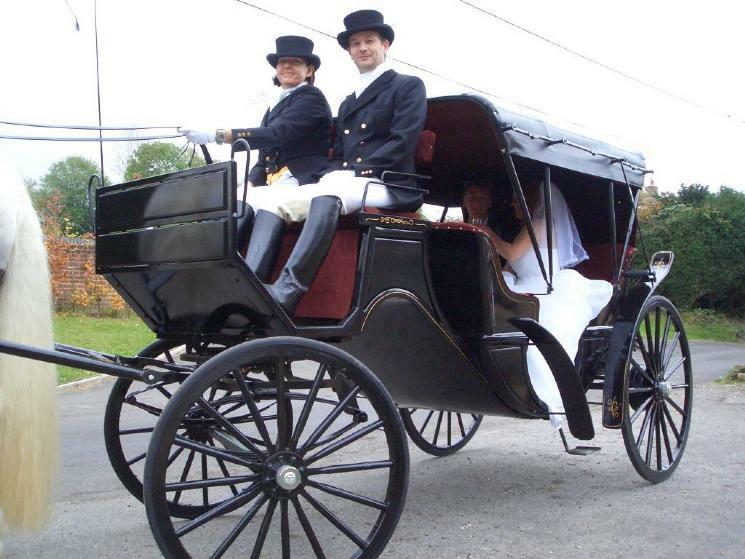 Horse drawn carriages for weddings, parades, birthdays, special occasions, film and TV work. We are a friendly, professional and experienced company, based in Devizes in Wiltshire, covering the South and West of the UK. Our drivers hold the The Harness Horse Training Board's Pairs Road Driving Assessment, as endorsed by The British Horse Society, the British Driving Trials Association and the British Driving Society. Between us, we have 80 years' experience of horses. If you would like to find out more, please call Justin Finning or Deborah Noakes on either 07879 896744 or 07798 527664.